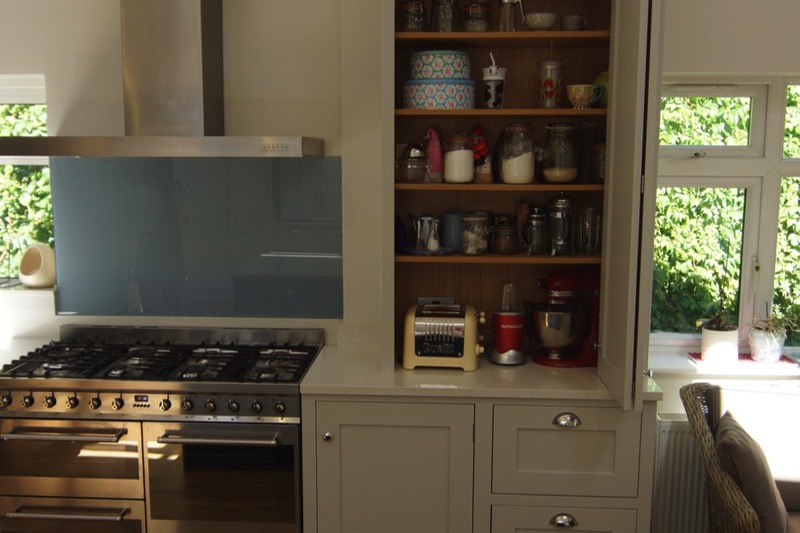 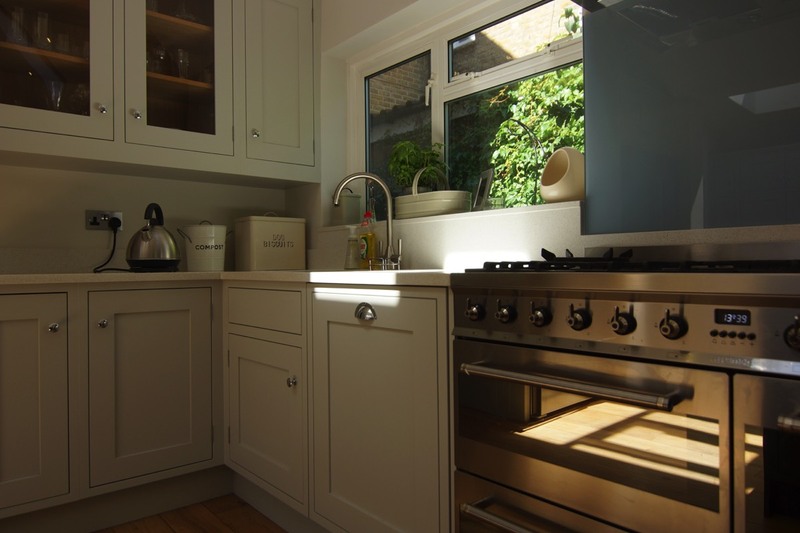 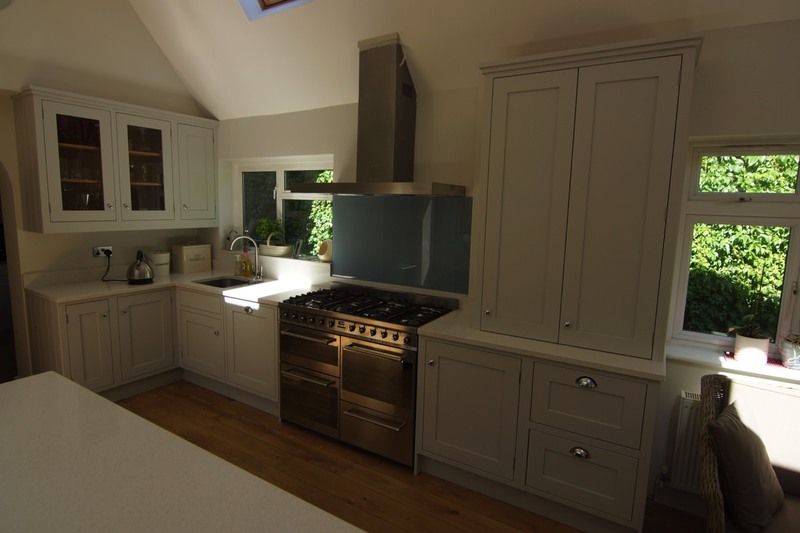 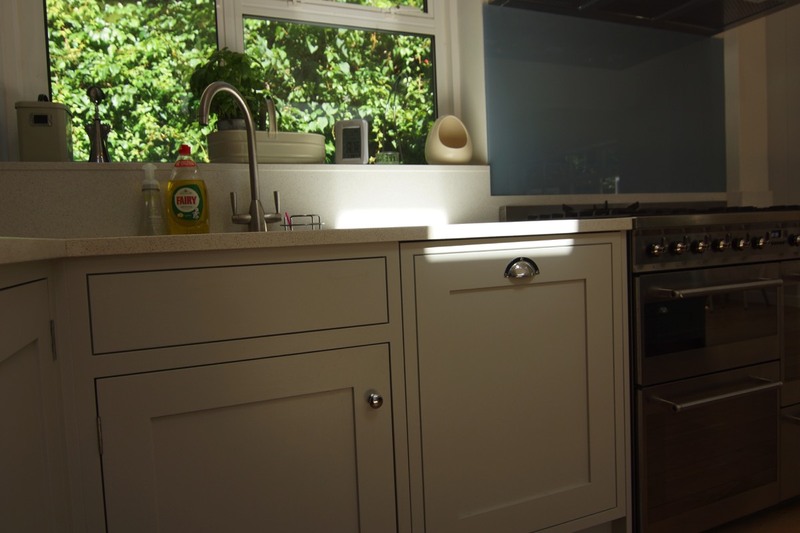 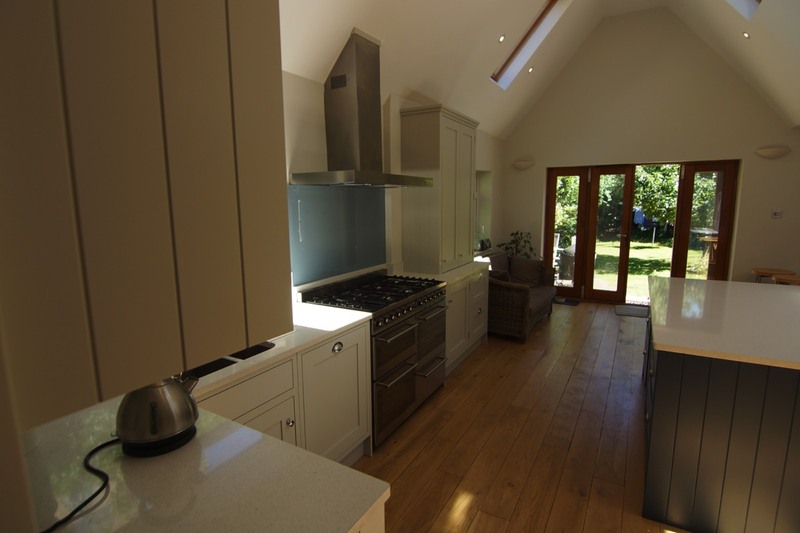 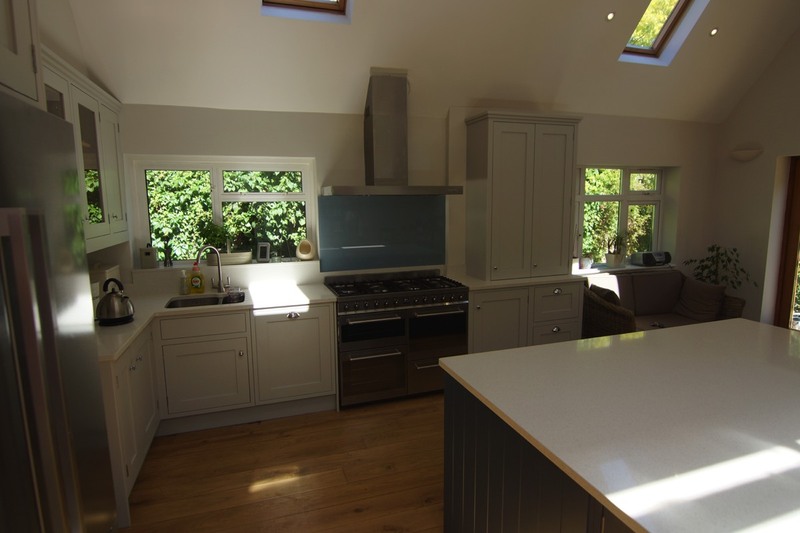 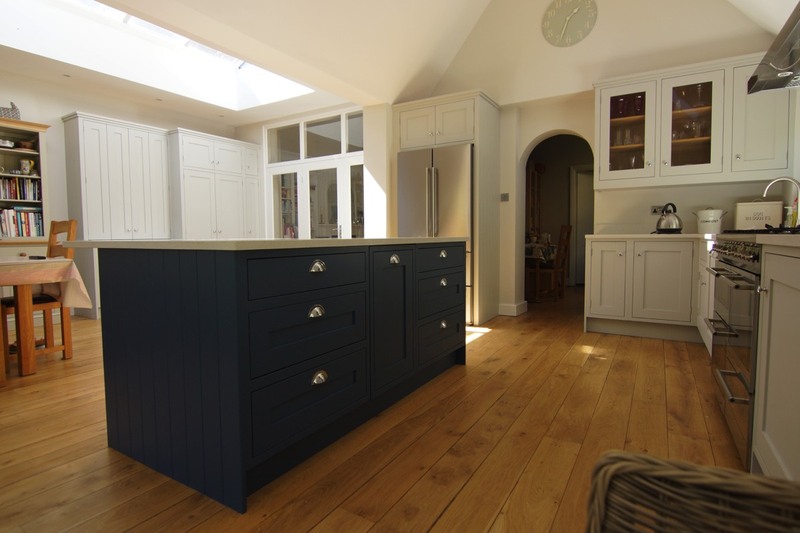 This square in-frame hand painted kitchen was installed by Teddington kitchens into a significant open vaulted roof extension situated in Teddington. 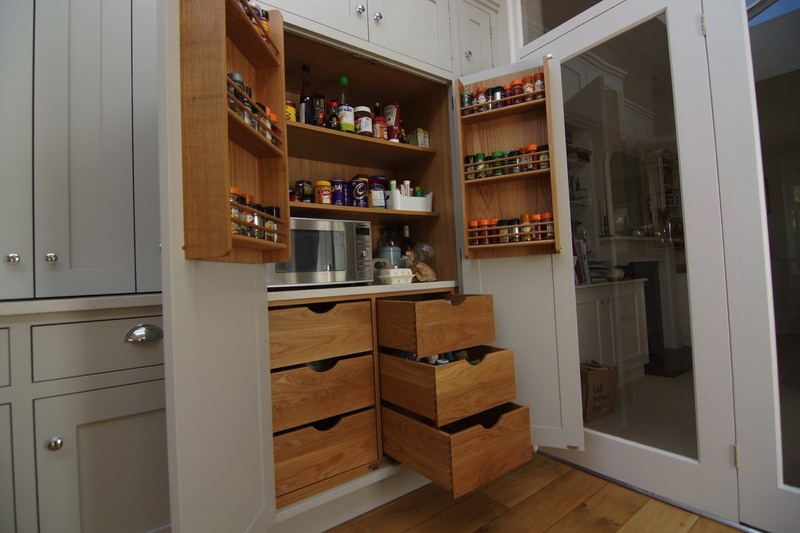 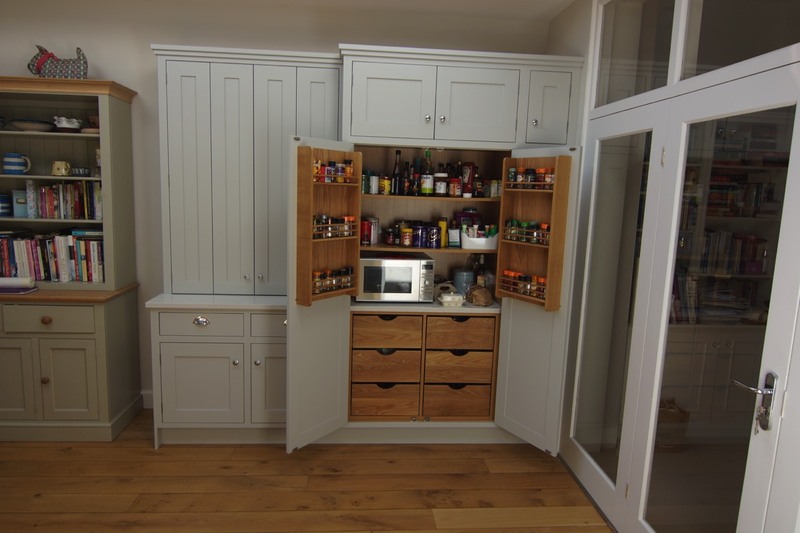 It incorporates a large larder and TV cabinet with bi-fold doors. 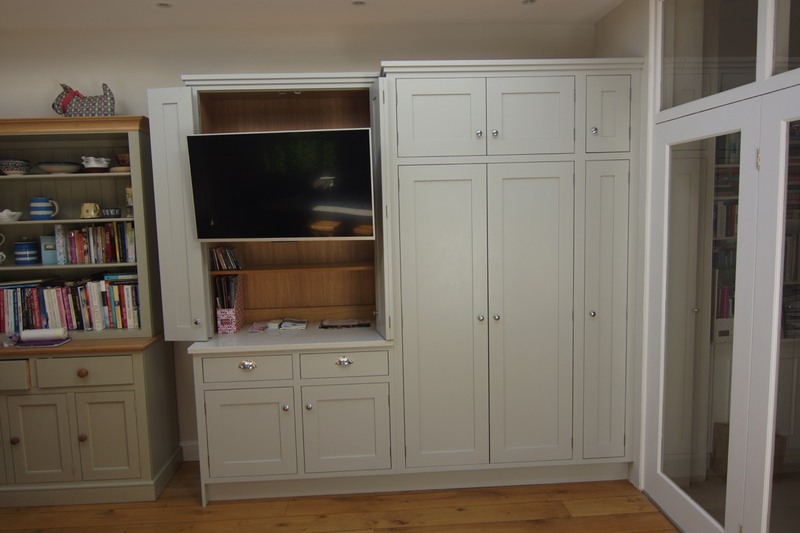 There is a second bi-fold door dresser unit for small appliances and storage.